Easy Zucchini Casserole - I Am Proud Of My Kids! 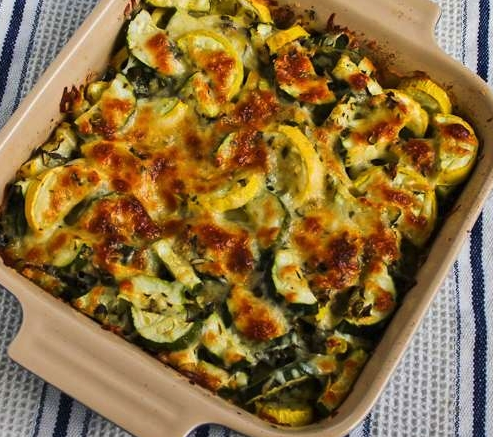 Zucchini, fresh basil, and cheese provide layer upon layer of rich flavor in today’s easy-to-make recipe.This Zucchini bake is a perfect meal to serve during family gatherings, it’s not only very tasty, but a healthy choice as well (make sure to use low-fat cheese!). We found this recipe on kalynskitchen.com, check out the ingredients and cooking directions below. 3 Comments on "Easy Zucchini Casserole"